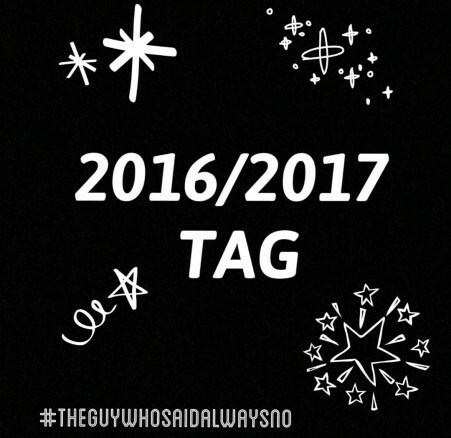 This tag was created by David from The Guy Who Said Always No. DESCRIBE YOUR 2016 IN 3 WORDS. WRITE THE NAME OF 2 PEOPLE WHO HAVE CHARACTERIZED YOUR 2016. Well, I can’t mention only two people here 🙂 my family has been a big support for me always especially in 2016 as well. WRITE ABOUT THE MOST BEAUTIFUL PLACE YOU’VE VISITED IN 2016 AND WHY YOU LIKED IT SO MUCH. Last year I had been to Goa. It was such a lovely place filled with lots of fun, food, beaches and people. WRITE THE MOST DELICIOUS FOOD YOU’VE TASTED IN 2016. Goan food, Crackling Spinach (Chopped deep fried spinach) and Vegetable fried Wonton (Dumpling stuffed with veggies). WRITE THE EVENT WHICH HAS MARKED YOU MORE OF THIS IN 2016 (EVEN GLOBAL EVENT). WRITE THE FINEST PURCHASE YOU’VE MADE IN THIS 2016, AND IF YOU WANT, LINK A PHOTO. I bought some real good stuffs like clothing, accessories, household stuffs and gifts for my family members. WRITE 3 GOOD INTENTIONS FOR THIS 2017. Be kind and supportive to near and dear ones. Be happy no matter what and stop imagining things which makes me sad. WRITE 1 PLACE YOU WANT TO VISIT IN 2017. WRITE 1 PLATE/FOOD YOU WANT TO EAT IN 2017. Mention the creator of the blog: The Guy Who Said Always No. Use the image that you find in this article. Mention 9 blogger friends and let them know through a comment on their blog.